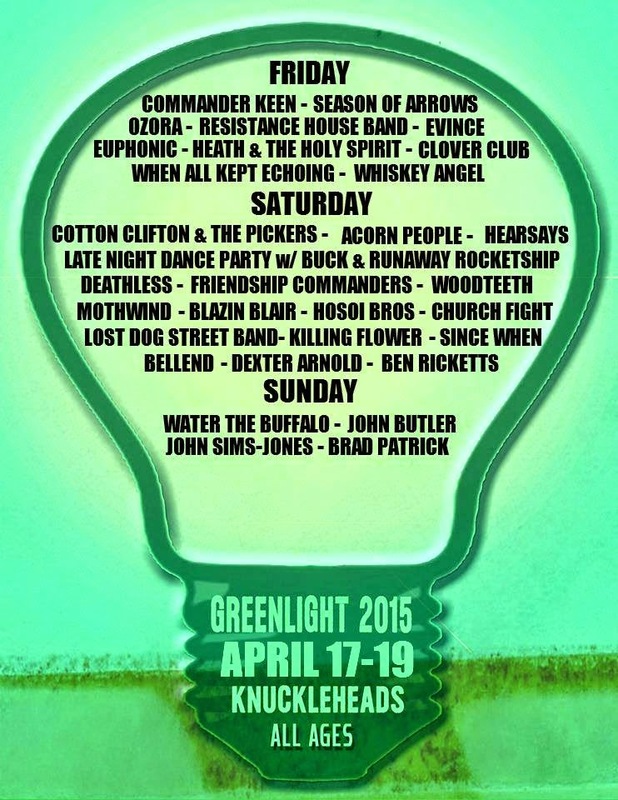 we're heading out to Jackson TN play GreenLight Festival this coming Saturday, the 18th. We're on at 3:30 in the afternoon, so come on out if you're in Tennessee. We're in the middle of booking the rest of our summer touring, so check back soon to see what we're doing from June through August. The best way to ensure you get the tour dates is to sign our mailing list. We send out a monthly newsletter with everything we're up to. Can't wait to see you out on the road!